Global Clinic is always concern for the health of peoples. Global Clinic not only cures the disease but help to detect and most Important believe in Prevention. Enjoy travelling through India's finest tourist spots while having your treatment at a reasonable price. Palazhy Tours & Travels presents tour packages for Kerala which is also known as God's Own Country - Kerala Tourism in collaboration with Prudent Networks. All the tours are backed by the professional expertise and relations of Prudent Networks - one of the leading inbound tour operators in India. 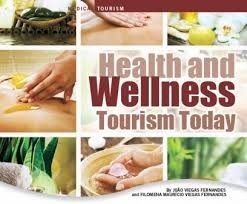 Medical Tourism in India is one of the best options available to people across the globe. Millions come every year to get treated and then enjoy their recuperative holidays across India. People from different walks of life cut across the entire span of the globe come to India to have their treatments done with peace of mind. Arrival at the airport, receive the warm welcome by our representative. Check into a hotel after refreshmeny explore the temples and capital city of Trivandrum Overnight stay at the hotel. Wellness treatments not only heals your body but also have very positive effect on your mind and soul.India is home of wide range of wellness treatments from Yoga , Meditation to Ayurvedic treatments you can experience all in India. We offer services to patients who wish to get treatment in Indian Specialty Hospitals. - Visit most appropriate hospitals in India which has highly standards in aggradations like NABH, ISO certifications. Our expertise lies in successfully handling the requirements of organizing facilities for health tourism packages. 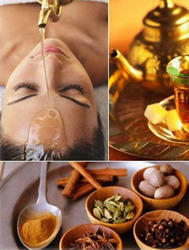 This includes Ayurvedic, Spa Tour, Medical Tourism, Health Packages and others. With services handled by experienced industry professionals, we ensure that these services can be availed from us at reasonable prices. MARARI BEACH RESORT : Located 100 kms/ 2 ½ hrs from Cochin airport, this resort is set amongst 25 acres of coconut palm grove which lead down to the beach. Built in the traditional style of a south indian fishing village, the resort comprises of 52 spacious thatched gillas. Ncs Travels And Tours Pvt Ltd.